The GTU has given me the ability to work comfortably in the liminal space between the old and the new, the classical and the modern. From both a scholarly and identity point-of-view, I feel I have been given a voice and community to which I belong. For this, I am forever grateful to the GTU. As the son of a first-generation immigrant, I walk a delicate tightrope when it comes to cultural identification: Am I Mexican or American? The question only arises because as a person in this liminal space, I am not fully accepted as either. Liminal space defines a large portion of my identity. Now, interestingly, it is shaping the way I do my work as a biblical scholar. 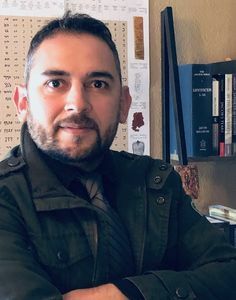 Coming from a master’s program that was staunch and unwavering in its emphasis on the historical-critical investigation of biblical texts, I found the GTU’s exegetical approach both interesting and unfamiliar. My first methods class presented me with a whole world of interpretive possibilities. In the beginning, I found the sea of exegetical paths unsettling and groundless. I was baffled that so many biblical scholars had forsaken the “standard” methods of biblical interpretation for something more “applicable.” But my time at the GTU has helped me understand that my previous approach to biblical interpretation was, in fact, limited. The deconstructionist approaches the GTU fosters have taught me a very simple, but profound lesson: there is no single standard when it comes to biblical interpretation! In addition, I have learned that new voices were not meant to drown out or silence old voices, but to speak in conversation with them. Biblical interpretation is a living, breathing organism. What a fantastic concept! The GTU has fostered my approach of putting new breath into the classical methods of biblical interpretation from the angle I know best. What better way to engage Mary Douglas’s fascinating anthropological interpretations of cosmic order, its boundaries, and the violation thereof than from my cultural perspective? 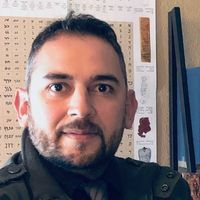 Eric Sias is a fourth-year PhD student in Biblical Studies at the Graduate Theological Union.